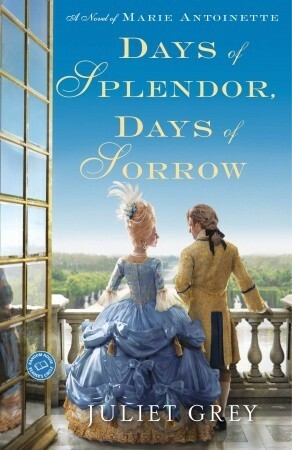 Please note:Days of Splendor Days of Sorrow GIVEAWAY continues HERE. Winner announced on July 4th!!!! This second book of Juliet Grey’s Marie Antoinette trilogy exceeded- by far, all my expectations. In the author’s first book, Becoming Marie Antoinette, we read about Antonia and how she, at a very young age becomes Queen of France- a most delightful read from beginning to end (read my review here)- So much so that I named it my favourite read of 2011. So how was Days of Splendor, Days of Sorrow, going to compare, or better yet; give me more to get excited about? Detailed to perfection at what is now customary Juliet Grey style, Days of Splendor, Days of Sorrow, does not disappoint. 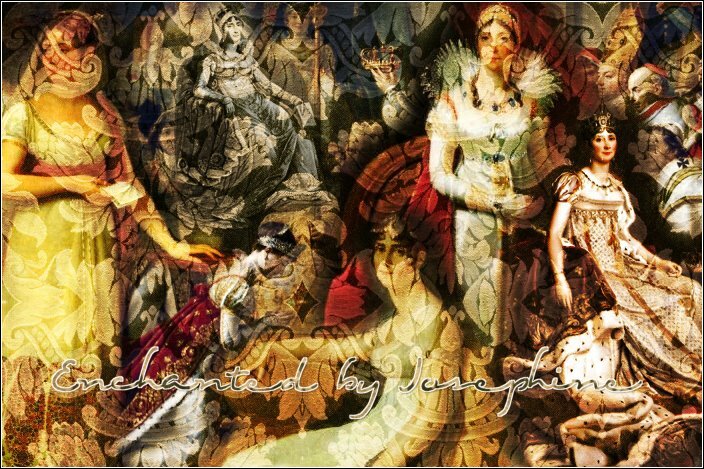 Marie Antoinette blossoms into her own woman going through many peeling and riveting stages. Her life is initially filled with the border-line obsession of finally consummating her marriage for the ultimate goal of bearing an heir to the French throne. Infinitely troubled by this freakish circumstance for several unbearable years, (ultimately due to the couple’s ingenuousness and failure to seek proper medical intervention), Marie Antoinette desperately needed a diversion. 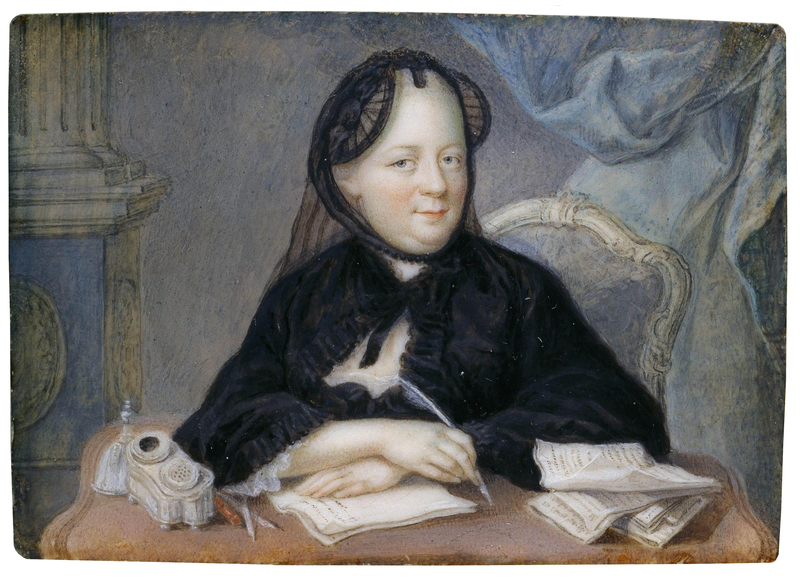 Young and carefree, but nonetheless suffocating behind those palace walls, Marie Antoinette chose to keep a close-knit entourage to help alleviate her sadness. She enjoyed her late card games, her fashion, her theatre and her beloved Petit Trianon, where she could be herself. Her every move at court though, was hence discriminated. 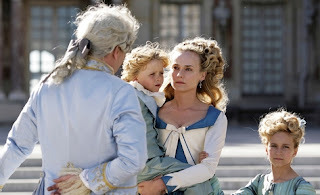 Days of Splendor, Days of Sorrow is Marie Antoinettes’ rise to womanhood through splendor, carefree times, love, friendship, motherhood but along with that followed: worries, hurt, tragedies, defamation, betrayals, remorse, and as well, a rise to maturity. I think what I love most about this novel is precisely the way Marie Antoinette is portrayed. Juliet Grey does not create an untouchable, pure Marie Antoinette-nor does she follow those who have much maligned her in history. In this novel, Marie Antoinette encompasses the roles of queen, wife, mother, lover and friend in their purest form; told as is, without pretension. My favourite part of the book was definitely the necklace affair. So much has been written on this topic already, yet in this novel it is told in even greater depth- almost like a minute by minute retelling of the facts- the story flowing with flawless elements and way more information than I have ever read before. Incredibly interesting! Every little detail in this book is delectable, and I savoured it thoroughly. Written in good taste, nothing is amiss, and everything is possible. A work of fiction, yet written with such precise historical details, Days of Splendor, Days of Sorrow is much more than just another Marie Antoinette story! I can't wait for the next and final book of this amazing trilogy. Excellent! DAYS OF SPLENDOR, DAYS OF SORROW!!! Open to Us and Canada only- Winner Announced on Monday, July 1st- CANADA DAY! WINNER of THE LAST ROMANOV- Announced! Laura Kay of A Novel Review!!! Jane Grey- at Face Value...FANTASTIC Guest Post! Today, here on EBJ - History Salon, I am thrilled! 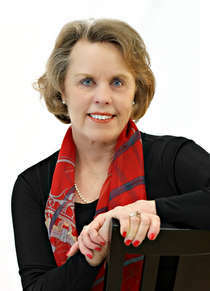 to have Susan Higginbotham, Author of 5 excellent historical novels; her latest: HER HIGHNESS THE TRAITOR, grace my blog with this exceptional post. Let's face it...Can we handle the truth? For centuries, the sad story of Jane Grey has had a special appeal for young women—especially for bookish young women. It’s no wonder why. The girl who would rather study than join her family for a hunting trip, Jane is the thinking girl’s heroine. Add to that her tragic death by beheading at age sixteen, and it’s easy to see why Jane’s story has such widespread appeal. When I set out to write a novel about Jane Grey’s mother, Frances (Jane’s mother-in-law wormed her way into the book later), it was never with the intention of denigrating Jane Grey or of knocking her off a pedestal, but of seeing Jane through the eyes of my characters. When I did that, I saw Jane as an outspoken, even arrogant young woman, one whose intelligence might well lead her to regard more ordinary women, like her own mother, with contempt. I saw her as a young woman who was more at home corresponding with scholars than having to make small talk with her peers, and who wouldn’t have any bones about saying so. I saw a young woman who was prone to self-righteousness and to making harsh judgments about others, to seeing things in terms of black or white. I saw a young woman who might even be willing to stretch the truth at times—as when she hinted to Queen Mary that her mother-in-law had tried to poison her. I saw, in short, a young woman whom I could admire a great deal—but one who also had flaws. Some, however, are not comfortable with a portrayal of Jane as a flawed character. For them she was a victim. Ascribing human faults to her, in their view, is an insult to her memory. But would Jane have liked to be remembered as a victim? Over four hundred and fifty years after Jane’s death, it may be presumptuous to guess her thoughts—but having so far presumed, I do not believe she would have liked to be remembered in this manner. This was a young woman who went calmly to her trial and to her death, who didn’t shirk from giving her opinions even while she was a prisoner in the Tower. I believe that Jane would prefer to be remembered for her intelligence, her uncompromising beliefs, the courage with she faced her death, and above all else, her deep religious convictions. In short, Jane was probably a great deal like the rest of us—only more intelligent. A complex human being with good points and bad points, not a plaster saint, stood on the scaffold on February 12, 1554, and faced the headsman. On that day in February, Jane was robbed of her life. We should not go further and rob her of her humanity. GIVEAWAY for Anastasia's 111th Birthday! 'Today, June 18th marks what would be the 111th birthday of Her Imperial Highness Anastasia Romanov. Grand Duchess Anastasia Romanov of Russia, was the last of four daughters born to the Tsar Nikolas and his wife Tsarina Alexandra. After the tragic execution of the Russian Royal family in1918, officials were never able to recover the remains of Anastasia. Tales of her supposed escape from Russia have gripped thousands for decades, fueling speculation that a daughter of Russia’s last sovereign ruler survived the revolution that destroyed her immediate family'. To all Marie Antoinette aficionados: "Les adieux a la reine"
…unfortunately it did not get a raving review. Pity- I was really looking forward to this one. 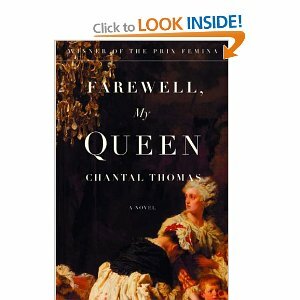 I loved the novel, Farewell my Queen, by Chantal Thomas when it came out ten years ago. So when I heard the film was Benoît Jacquot’s adaptation of the novel, I could not wait for this. After reading the review though, I got the feeling Jacquot fell right into Hollywood's very alluring trap (like the world needed yet another film that delivers a distorted view of Marie Antoinette...). Will I go watch the movie knowing this? If only for the period costumes and to relive the grandiosity of the time and the spectacular shots…it will have to be for purely esthetic reasons, I suppose…and to offer my own review of this movie. Stay tuned. To read Brendan Kelly’s review at the Montreal Gazette, SEE HERE. This week author Paula Paul hosted here at EBJ with a compelling post on Equality for Women (see here). This is the first time I read an HF novel on Catherine the Great- and I loved it! I had read here and there about this grand empress and about her many lovers…hmmm- but there’s always more to the story than that. Together with her very strict, self-serving and uncaring mother, the young Sophia (later confirmed to Catherine) leaves her home in Berlin to go live in the court of Elizabeth, Empress of Russia. There she is betrothed to Peter III- an immature and senseless young man (he never does grow up- or improve). The whole purpose of this marriage was to produce an heir for Russia. Pathetic as can be, Peter had no idea how to be a man, in any sense of the word. Poor Catherine who gave up everything to live up to her every role, was belittled, chastised, disillusioned and consequently, never truly happy. Catherine did find some peace within her newly found Russian Orthodox faith (definitely a positive thing in her favour with regards to Empress Elizabeth). Other than that though, many who opposed the marriage, made Catherine out to be this rather cold, detached, somewhat defiant and calculating being- all things that she was most certainly not. All she ever did was for love, for her people and her country. Catherine did find some joy in friendships created within Peter’s circle, and through the trust of her closest chamber maid, Sveta. Sadly and to her own demise, the love she sought was found through lovers who never reciprocated in complete honesty. The book is filled with such moments where you can’t help but feel for Catherine and her pain..So, yes, Catherine may have had a few men in her lifetime (and there are long detailed passages about this…), but each time she gave her love completely and faithfully; thinking this was her one and only- and her last, only to be deceived once more. Although ever-so- unlucky at love, Catherine finally triumphed in gaining what she craved most; love, loyalty, respect and trust, ultimately, as great ruler of Russia. I definitely enjoyed this book and want to read more about Catherine the Great. 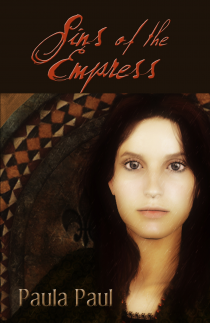 Cool Well Press is offering ONE of my lucky readers Sins of The Empress in e-format!!! Author Paula Paul - GUEST POST! ...Catherine The Great...What an exceptional historical figure! Today, here on EBJ - History Salon, I have the pleasure of receiving Paula Paul with this terrific post on "Equality for Women". Catherine the Great of Russia never heard that expression. She knew women weren’t seen as equal to men anywhere during the eighteenth century when she lived and reigned. Yet it never seemed to occur to her that she wasn’t equal to anyone or that she wasn’t superior to most. Catherine is the protagonist in my novel Sins of the Empress. The story begins when she was a young German princess and was chosen at the age of thirteen by the reigning Empress Elizabeth of Russia to become the bride of the heir to the throne, Peter III. Arranged marriages were the norm, of course, especially among royalty. Catherine, however, thought she had a right to protest. She announced that she would choose her own husband. She was thwarted in that attempt, but it didn’t stop her from striving for her right to be her own woman and make her own choices. That wasn’t the last time she lost a battle, either. Still, she never gave up. She was one of the strongest women I’ve ever read or written about, as well as one of the most unorthodox—at least by twenty-first-century standards. I came to write about Catherine after an editor asked me to write a historical novel. “You can write about anyone you choose, as long as it is a real woman.” she said. Write about anyone? Really? Who? Phillapa Gregory among a host of others were writing about women in England and France and other places in Europe. Was there a woman left who hadn’t been written about? “Who would you like to write about?” the editor asked. “Catherine the Great of Russia,” I said, literally without thinking, but I had an eerie feeling that she was standing behind me telling me what to say. It wasn’t as if I’d never heard of her, but I didn’t know much about her. I first met her when I was in my twenties and an editor at the newspaper where I was working handed me a book about her and told me to review it for the book page in the paper. No, I don’t remember what I wrote, but I do remember that the book was very dry, and after I wrote the review I was left with the haunting feeling that I hadn’t done her justice, and that she knew I hadn’t. I was given the book after I reviewed it, and it rested on one of my overstuffed book shelves for more years than I care to admit. I would look at the spine from time to time when I was searching for another book, and the haunting feeling would return briefly. Every time I looked at the spine of that book, I felt she was calling out to me to read more about her. She was even taunting me: I’ll change your life if you’ll just read. Shortly after the editor called, and I had foolishly spoken without thinking, I did begin to read. I read and I read and I read. Books about her, memoirs written by her, books she read during her life time. A powerful, intelligent, independent woman immerged as I read. But she was anything but orthodox. She changed lovers as often as she changed ball gowns. Some of them were younger than her sons. She gave one of her children away. She was accused of murdering her husband. How was I going to make a woman like that a sympathetic character whom modern women would understand? I didn’t know the answer to that, but I began to write anyway, allowing my characters to speak to me, as I always do. I continued to research her life as I wrote, and I began to see her as a woman of her time with mores different from our own, but a woman who was capable of deep love—enough love to give a child away to save his life. She was a woman who dared to save Russia from the clutches of her mentally incompetent husband and from economic crises because of her intellect and understanding of economics. She was a woman who built hospitals for the poor and schools for girls, who faced down generals and kings, who did her best to end wars. She did all of that while all of Europe tried to call her incompetent because she was a woman. Equality for women? Of course you’re equal, even superior to some, and don’t ever stop believing that even when we suffer setbacks. Yes, she changed my life. It is my hope she will change yours as well. About the Author: Paula Paul is the award-winning author of 25 novels for both children and adults. She also had a career as a newspaper journalist and has won several state and national awards in that field. A native Texan, she grew up on a cotton farm/ranch in Bailey County, a county named for her ancestor who died at the Alamo. She loves playing the piano and learning how to or about just about anything. Oh, and big family get-togethers with her two children and their families. She lives in Albuquerque, New Mexico, with her husband.